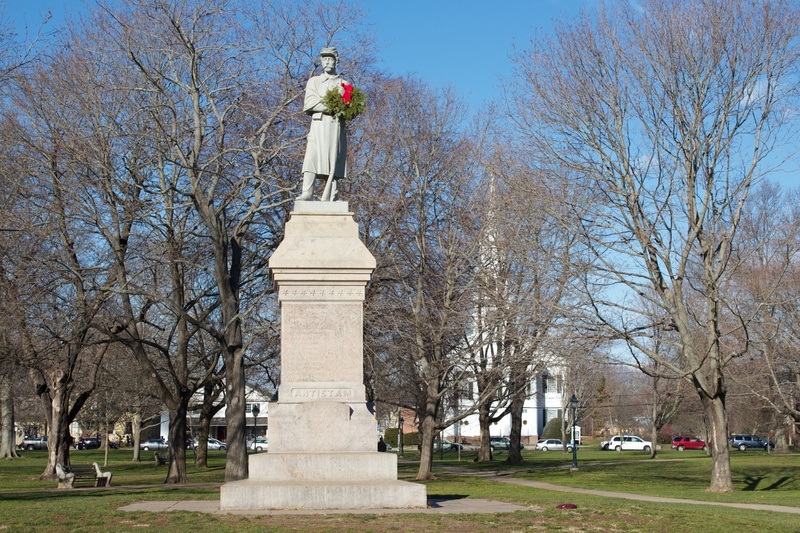 We first profiled the Soldiers’ Monument on the Guilford green in April of 2009, but last week we noticed that the monument is displaying a wreath for the holiday season. 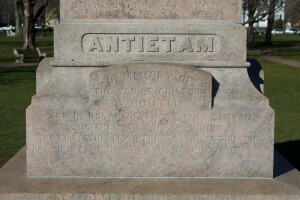 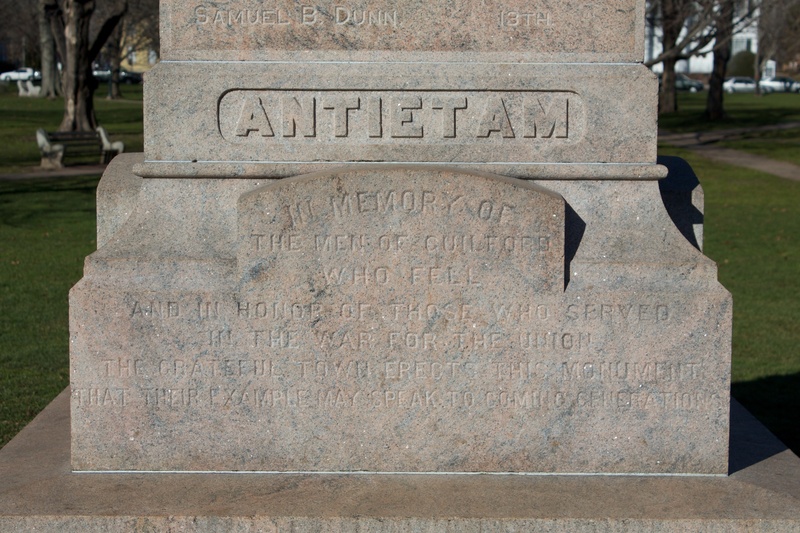 The base of the monument, made from pink granite that was quarried locally, was dedicated in 1877. 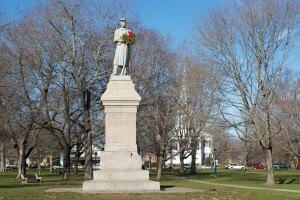 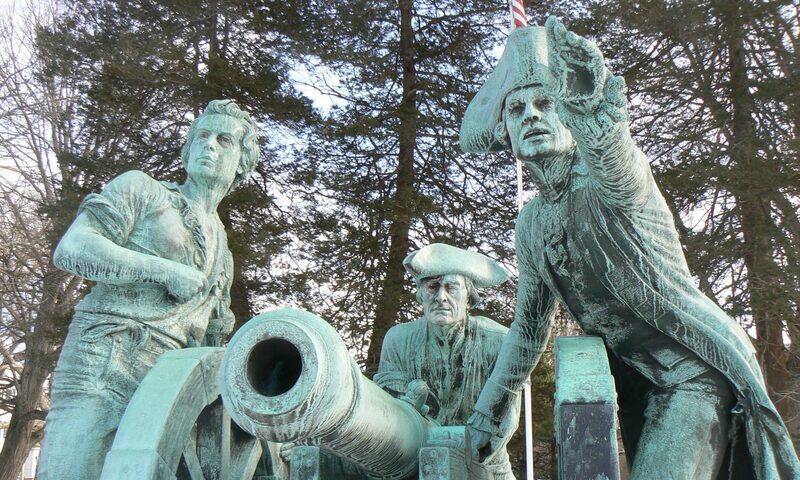 The gray granite infantryman, supplied from a Massachusetts firm, was added to the monument 10 years later. 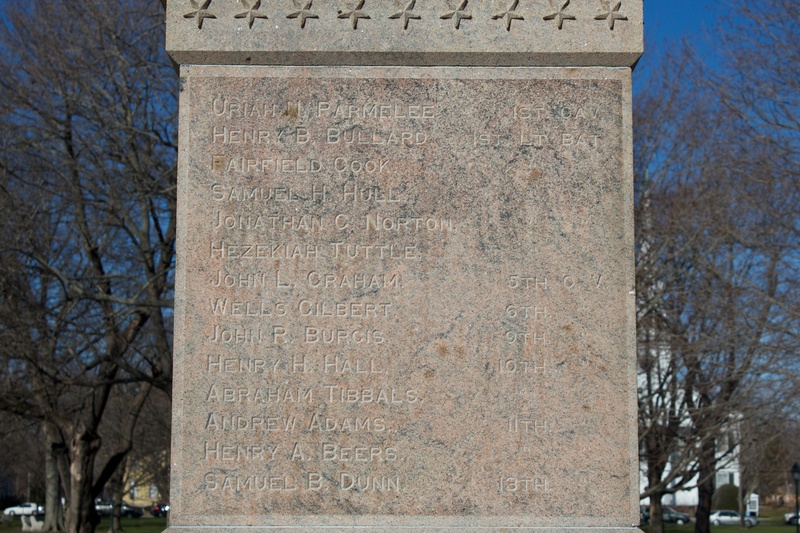 The south face also lists 14 residents who died during their Civil War service. 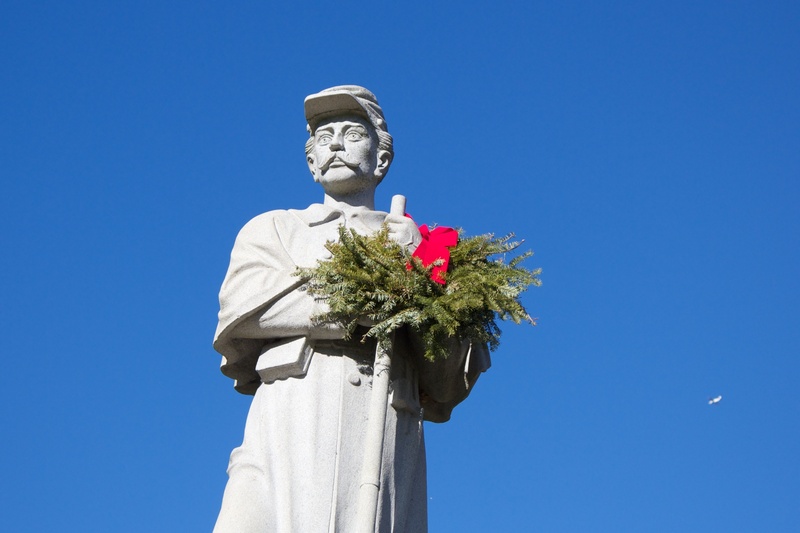 The first name on the list is that of Uriah Parmelee, a Guilford native who left Yale during his junior year to serve in the Union Army. 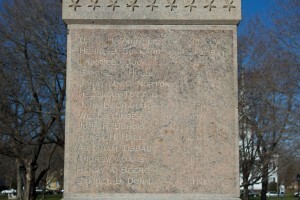 Parmelee was killed in April of 1865, and is also honored on the Yale Civil War Memorial in Woolsey Hall.